Dry fruits – 50 grams (cashewnuts & seedless raisins) You can add any type of dry fruits. 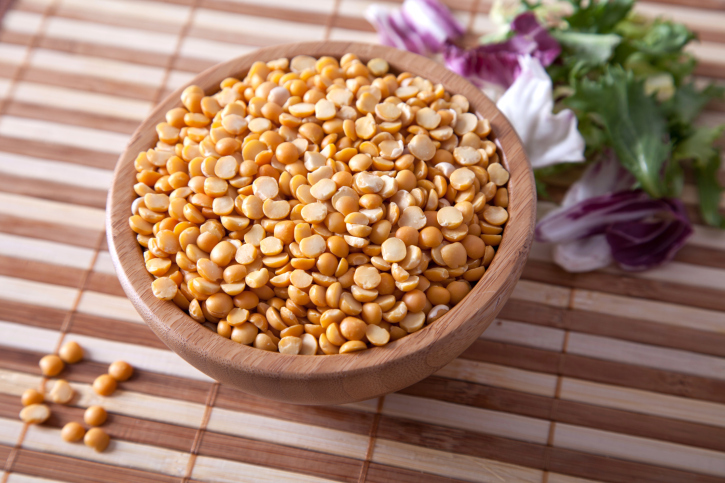 Wash chana dal with plane water and add 3 cups (around 600 ml ) of water to it. Pour washed dal with water directly in to a pressure cooker (capacity of 2 or 3 liters), leave it to soak for 10 minutes. Close the pressure cooker with lid and Keep the cooker on medium low flame. Allow it to whistle thrice and remove the cooker from heat. It may take 10-15 minutes to whistle. Crush jaggery (around 1 cup), dry fruits and keep them separately. Make fine powder of nutmeg and cardamom and keep them separately. Open the lid of cooker and place the cooker on high flame without lid so that remaining water in dal will get absorbed by dal. It may take 5 minutes, lower the flame and mash the cooked dal coarsely, with the help of a spoon. Add crushed jaggery and mix it well with spoon. Allow it to boil for 5 minutes on low flame. Heat a pan on medium flame, pour 1 table spoon ghee to it. Add crushed cashew nuts, raisins and poppy seeds to it and slightly roast them. Pour cooked dal with jaggery to it and mix them together with a long handled spoon. Boil it for 5 minutes. Sprinkle cardamom powder and nutmeg powder over it and slightly mix it and close the pan with lid. Allow it to cook for 1-2 minutes and take off the pan from heat. Adding the cardamom powder at the end, enhances the flavor and taste of the dish. If you add it in the last, powder will not loose its flavor. Tasty and delicious Hayagreeva sweet is ready to serve.